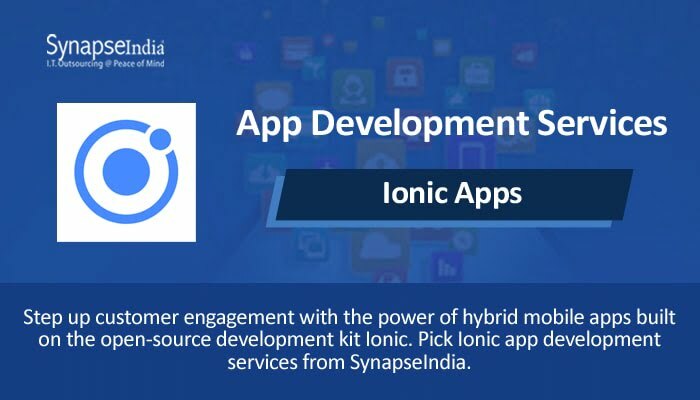 SynapseIndia has a vast experience in delivering app development services using platforms like Ionic. The company has served a diverse group of clients, delivering apps for businesses ranging from e-learning provider to financial services companies. It has been a leading player in the mobile app development industry since the beginning of the smartphone revolution across the world. The company is strengthened by a big team of certified developers who can efficiently combine advantages different platforms to create robust apps. Developers at SynapseIndia use a set of advanced development tools and technologies to create flawless apps. In addition to these, a series of testing processes, and quality analysis methods ensures that the clients get bug-free apps with the desired performance. Hybrid apps help businesses remarkably increase their online engagement through a common digital platform – a hybrid mobile app – across various platforms. As the diversity of the type of mobile computing devices and operating system increases, it becomes inevitable for companies to have a hybrid mobile app in place. A hybrid app serves as a powerful tool to communicate with a diverse and broad group of existing and prospective customers. The development framework Ionic makes the development of cross-platform easier and more efficient. Moreover, Ionic apps are scalable and secure, which makes businesses' investment in the technology more valuable.